Whether you’re an inexperienced or a seasoned truck driver, you may be curious about the other trucking jobs available to you after you gain some experience. Perhaps you want to remain in the transportation industry, but are looking for a change of pace from the over the road driving you’ve grown so accustomed to. Well, it’s important to note that you don’t have to leave the industry if you’re interested in a job change! There are many opportunities for advancement, but the key is getting the experience you need and much of that comes with starting off as an OTR driver. Most people are aware of the stereotypical trucking job – the over the road, cross-country, company driver. These are the jobs that entry-level truck drivers start out in. They’re the most common - the ones you need experience with before you can advance to other positions. So what exactly are the other positions out there? Let's take a look at 3 options that are out there beyond the first year. An owner operator is essentially a one-man trucking company. Typically, they lease onto an existing, established carrier that will find their preferred loads for them. Some owner operators have their own authority with the DOT and operate their own small fleet of tractors. 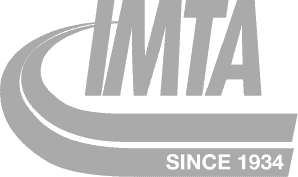 Most owner operators enter the industry as OTR company drivers. By working as company drivers for a while, they learn how they do and do not want to run their own business. 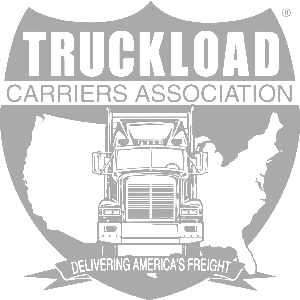 Owner operators have more freedom. They drive their own, personal truck and because of this, they can control the loads they accept, where they travel to, and what kinds of cargo they deliver. The freedom is a nice perk, but with it comes added responsibility. 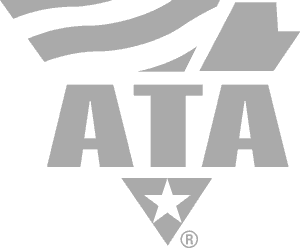 As an owner operator, you’re responsible for running and maintaining an entire trucking business alone. You must pay for all operating expenses such as truck maintenance, fuel, insurance, and marketing. If you have the entrepreneurial skills and mindset, an owner operator job would be a great fit for you. You can be your own boss while seeing the country and making good money. Trucking school instructors are responsible for teaching students all the necessary skills they’ll need to get on the road as confident, well-trained truck drivers. Many trucking instructors have attained a wealth of knowledge from their experience driving OTR and decide to pay it forward by teaching others. Instructors are crucial to the safety of truck drivers and other motorists on the freeways. In this industry, the stakes are too high for instructors to allow someone who isn’t prepared to drive an 80,000 pound tractor down the highway. Students who are put on the road before they’re ready are a hazard to themselves as well as fellow truck drivers and four wheeler motorists. Because of the potential danger this poses, it’s important for instructors to know when to hold a student back for additional training. Many experienced truck drivers find great reward in teaching others and decide to become instructors to help train the next fleet of drivers. Perhaps you've worked as a long haul, OTR driver for a while and are looking to move to a more traditional office position. In this case, working as a dispatcher might be a good career change for you. Dispatchers need to have a good working knowledge of computers, as the entire dispatch system is electronic. This ensures that the company and its drivers stay on a set schedule. Dispatchers are responsible for coordinating freight transportation between destinations, arranging pickup and delivery schedules for drivers, and consolidating orders so trailers are completely filled before a driver departs. They must have strong communication, decision making, and multi-tasking skills to ensure all aspects of a driver’s load assignment are accurately planned out. These are just a few of the advancement opportunities in the trucking industry. It’s crucial to get that first year of OTR experience to help "prove yourself" in the industry and open the doors to other opportunities. Don’t allow yourself to suffer from the all-too-common, “grass is greener” syndrome. Remember that just like in any other industry, you must pay your dues before you can advance to upper level trucking jobs, and the only way to get the required experience is by putting in the OTR time. 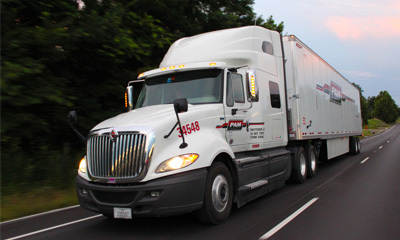 Driving OTR is just the beginning of a very exciting career. Many people willingly choose to remain as OTR drivers because they enjoy the lifestyle that accompanies it. It can be a very rewarding career, but you must put in the time and effort required, and appreciate it for all it has to offer. This is an exciting job that allows you to comfortably support your family while seeing the country. And just remember, once you begin getting OTR experience, there are MANY career paths you can follow. Take advantage of the opportunity! Apply Now If you're interested in becoming a truck driver, fill out our no obligation online application and schedule a time to speak with a Driver Agent about your options.